I have created a very quick video that shows you how to maximize your sales process, there is nothing at all for sale. Please allow a few moments for the video to load before hitting play. Please note! None of the methods shown on this blog will work unless you take action! 31 replies to "Maximize Your Sales Process"
SO many people are failing to implement this method, and they are leaving a TON of money on the table. 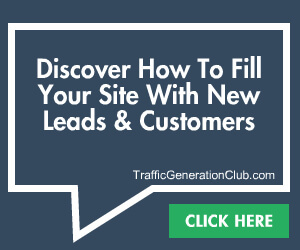 I also send my visitors from different funnel entry squeezepages, direct from Adswaps, to a $127 DVD product which converts at 2% approximately… and a $297 DVD that converts around 1% – do the maths here! 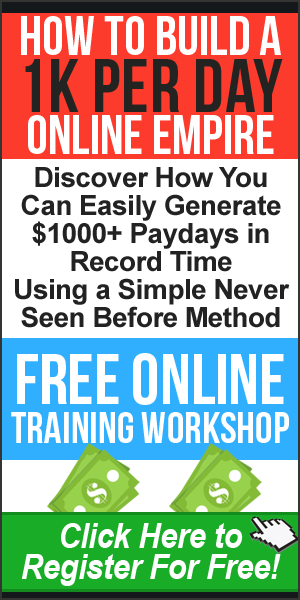 It’s probably my biggest secret to passive income – now it’s out! Sometimes you really need to hear the same information a few times before it really sinks in. I am one of those folks that ad swapped in order to build a list. I have stopped doing it now for various reasons and I had an offer on my confirm page but THE most important part – the affiliate program was missing. This is definitely an area that I need to address and will do so as soon as I can. The best part about having an offer in the process, is that you truly are getting paid to build your list instead of the other way around. For the same reason (getting paid) it is very attractive to your affiliates to help you out. Hope all is well in the UK! You’re right Ken, it does mean you are getting paid to build your list and that can’t be bad can it? Thanks again mate! Keep the good info coming! Thanks for the kind Comments Omar, I appreciate it. I’ll never forget when you first contacted me and told me you would be my most successful student. How right you were. I have a squeeze page with an offer and now I will have to see how to set up the affiliate part. 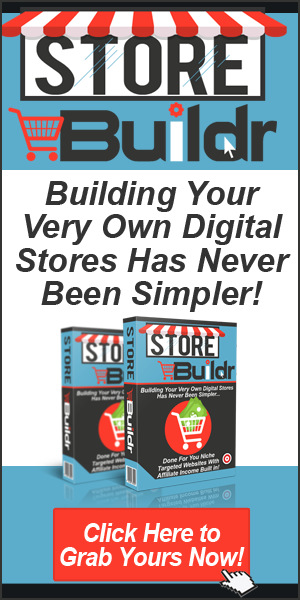 Is that where your Clickbank Affiliate Master comes in to play? I bet lots of folks would definitely send my squeeze page to their list if they were actually getting PAID for it! I have never done an adswap and have just started looking into it recently. Let me spiff up the squeeze page a bit and see what happens!! Thanks again I appreciate all of your help! Hi Lisa, yes, ClickBank Affiliate Master can help with this but you could use any affiliate program besides ClickBank. Great video which will hopefully help to simplify something which some people find very confusing! This whole sales funnel process is something which certainly took me a while to get my head around, but now that I have it has transformed the way my business works. You are right. So many people miss that one. That was a great Joint Venture Strategy. Making the offer to your JV Partner irresistible is on of the keys to getting solid as swap partners. What’s in it for them too. Always offer the one hand washes the other solution when seeking new JV Partners. Great post, keep up the great work John. You’re right Tommy, so many people do miss it. Make your affiliates money and you can’t fail to make money. It’s a simple formula really. I know most people are used to seeing you on video but I’m not, I had a break when you all moved over to video. It’s kinda funny seeing you on video, but it’s cool. You shared some good info for people new to adswaps or even just the squeeze page process. I don’t like adswaps, have not done them, I know it will grow my list fast and perhaps I need to implement them, but I just find getting them so bloody annoying I don’t want to annoy people with them either. I guess if I choose some really fab ones, and don’t do push them as hard as other marketers do, it shouldn’t be a problem and might even help my subscribers too. You could actually expand on this as well by approaching guys who you wish to promote in an add swap and ask them for a discount page for their product. This way you could have welcome friends of Daniel Sumner for example or some sort of welcome message on the top of the affiliated page so the opt-in subscribers don’t think they have just been sent right to an affiliated subscription page to buy a product. it’s more personal this way. Your conversions will increase! You could also have a JV with your ad swap person where you both provide a product on the subscription page. There are many ways to profit from this! Hey John you are 100% right! Since I started building my list and doing different adswaps I noticed that not every subscriber was opening the follow up emails. The ONLY way I could thought of to get 100% of my new subscribers see my offer was the “thankyou” page. (I even had a few ad-swaps delayed because I knew how important this was). BUT still you are *leaving money on the table* if you do it wrong! The difficulty though John is to “convert” and make the new subscribers to trust you. Because they dont trust you – yet, it REALLY has to be the BEST offer you can make them. I remember when I first asked for your help and you gave me a few tips to increase the conversion rate. Since I started implementing your tips I was making more money! You’re right Andreas and this is something I should have mentioned in the video. Make the initial offer as irresistible as you possibly can. You can also follow up on the initial offer at a later date in your autoresponder sequence. Solid advice here, you could actually leverage this by regularly posting on forums like the warrior forum with the squeeze page URL as your signiture! You could create a video at animoto.com for $3 advertising the report, you can then upload this to your You Tube channel, point to the live link to the squeeze page via an annotation placed on the video! This is really a great tip that everyone should know about. I do adswaps for list building and I personally know that a one time offer right after the sign up process works. As always great free information and a great video. I found as soon as i put my one time offer using my OTO confirmation page, my sales went up 10 fold…. Hi John – Yes great point thankyou. I have just done a couple of adswaps with an offer but I have to admit that I to have been lacking in the creation of Affiliate promo’s and J.V’s. It is also I feel worth mentioning that most decent auto-responder’s allow this set-up including our friend Randy’s Wizard Responder. Great advice, and i think so many people don’t even consider using an affiliate program for their OTO’s. If you use something like RAP where you can offer instant commissions, and set the commission rate to what ever you want, you could easily offer 100% commissions for the OTO so it will encourage people to promote your squeeze page and help it go viral and really add some big numbers to your list. You could also add an upsell to the process too, and make some money from that while affiliates are keeping the 100% commissions from the OTO. Thanks, as always John great advice. Thanks for the tip here. 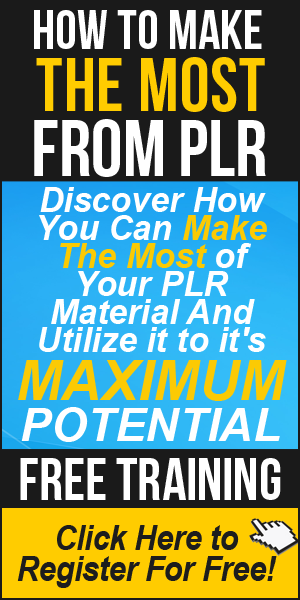 I use multiple squeeze pages to build my list but I never implemented this method so far, because I’m afraid to make an offer to my brand new subscriber, because I always hear “never make an offer to a brand new subscriber” or “build relationship first prior to offering” and they might turn off when you make an offer immediately to a brand new subscriber. But, I’ll give this a try, I know you will not tell us to do this if it’s bad, so I’ll trust you on this. I’ll make an offer after they confirm their email and see the result it can give me. As for the adswap part, That was one of the main reasons I give away great content at http://www.EasyCreationMonthly.info and http://www.IM-Phd.com , So that adswap partners can grab an affiliate link and make money from the numerous back end offers after the quality freebie is given. I have to be honest and admit I don’t contact enough people to do a swap – but I’m guilty of not wanting to get into too many swaps as I know this can turn a list off from opening emails!! I also don’t do a lot of ad swaps but I do know a lot of my subscribers do so hopefully the video will help a few people, but you’re right, finding the balance is crucial. All this talk about swapping is over my head but I am happy just to be in the same room as you folks. Thanks John this is a great video and very helpful. I will implement this method in my next adswap. Another great free tip which is exactly why I always make return visits to your blog. So simple yet so effective! Thanks again. Thanks so much for making this video John. I just started to place offers on the confirmation page but I was in the dark about the affiliate side of ad swapping. Good content as always. Steve D.
pages on your entire website. I’m not optimizing for maximum profits. model that way too many people take for granted. But isn’t the people sick of receiving offers everywhere already? I have heard that people would immediately unsubscribe just because they received a non-announced pitch in the middle of a sign-up process. I have my doubts about both parts, monetizing it or not but if the numbers are there, and they are converting, then by all means, I guess monetizing is the way to go. You made an excellent, but extremely subtle and far too often overlooked marketing point! And it’s often those extremely subtle marketing differences that truly make all the difference! Thanks! Great advice! And congratulations on that outstanding testimonial Omar Martin!